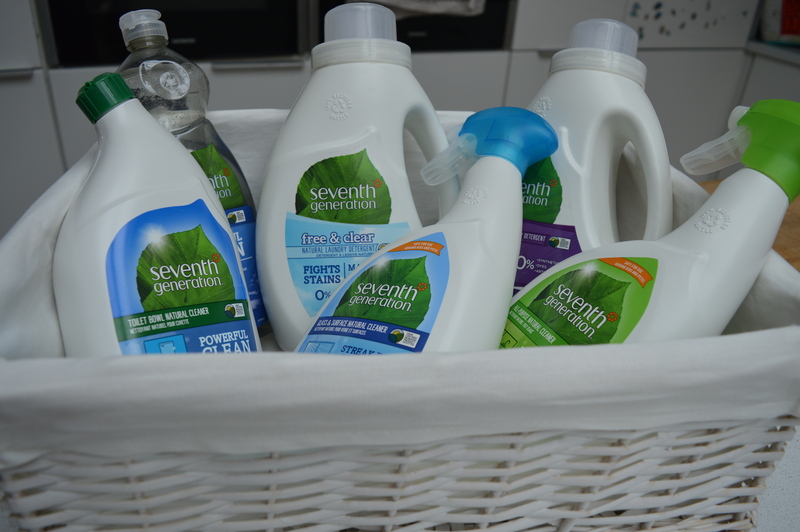 Seventh Generation Eco Cleaning review and giveaway. Seventh Generation Eco Cleaning products are give you a totally chemical free cleaning experience. With none of the usual nasties that you expect from kitchen sprays and loo cleaner, it is all natural and therefore great for your skin, your body and the environment. 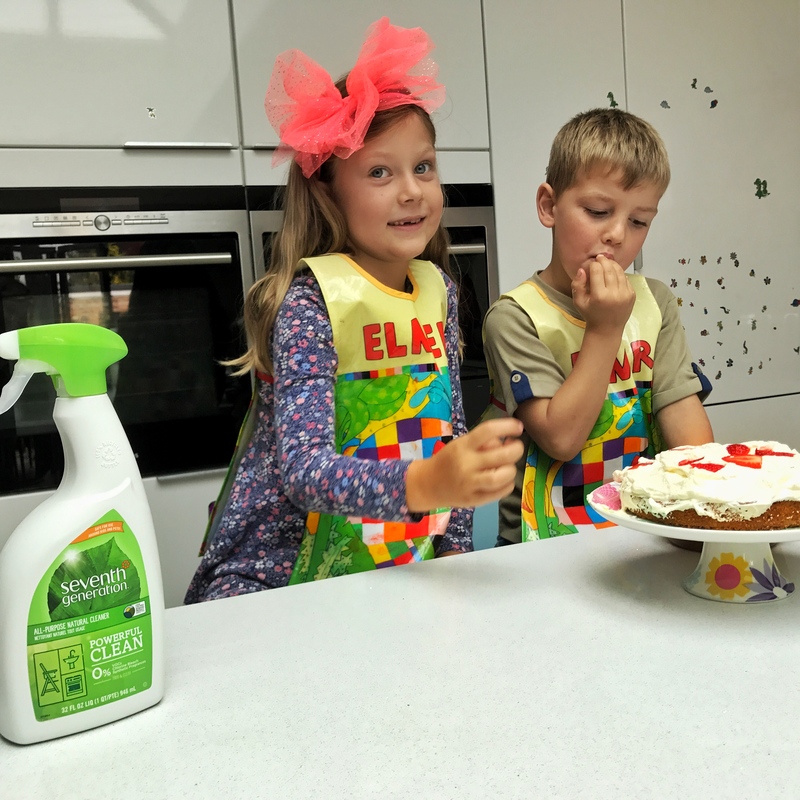 With 25 years experience in creating safe and effective cleaning products, they offer a powerful plant-based clean. Even the bottles are good for the environment and made from 100% recycled plastic! I grew up on a farm with it’s one water supply and septic tank and so we could never use chemical products and I always had the view that natural cleaning products weren’t very good, so when I moved in with my husband, (who came from a family at the other end of the cleaning product spectrum! ), we started using chemicals including the big no no in my house, bleach! I always felt guilty about using them though, and was keen to find an alternative that ticked both my nature friendly boxes and my hubby’s clean and fresh scented boxes. Easier said then done! When you know your brother shouldn’t really be licking the cream off the counter but secretly want to join him desperately! Because of my previous experience and preconceptions, I didn’t hold out much hope of the products being any good when I got a sample of the washing liquid from Seventh Generation in a blogging goody bag but wow, was I was pleasantly surprised! The laundry products work well and have a lovely fresh scent, best of all, they are gentle and kind on everyone’s skin, especially important with the children and myself prone to eczema. The washing up liquid and surface sprays are also great, dissolving grease with ease and leaving behind a lovely fresh scent. Best of all, the products are safe for pets and children which means that when our new puppy hops up and steals crumbs from the counter, I don’t need to worry, or when the scoop the cream that fall off the cake up and lick their fingers, I don’t need to panic. Very best of all though? I can get the children to help with the housework which I wouldn’t dream of where bleach is concerned. So many wins there!!! Especially because I’m not a natural housewife and I really hate cleaning! Seventh Generation sent us a lovely hamper of products to try and best of all they are offering a hamper to one lucky reader of my blog, just enter the competition below!